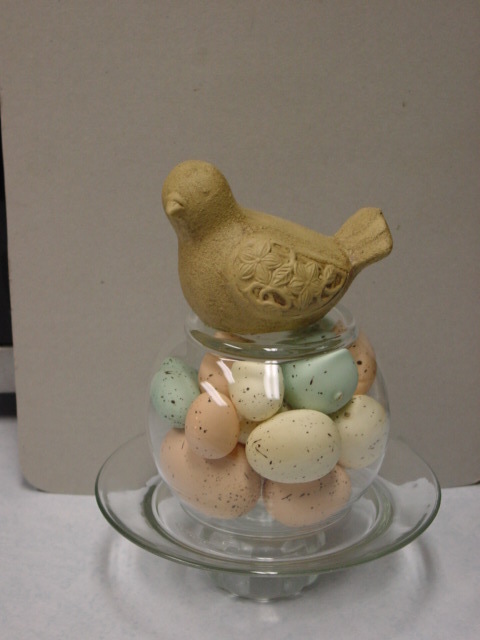 I forgot to remind you that if you are looking for eggs to decorate with (not specifically Easter) that Easter time is THE time to look. You might still find some on clearance at this point. I ALWAYS stock up on faux eggs while they are in stock before Easter. 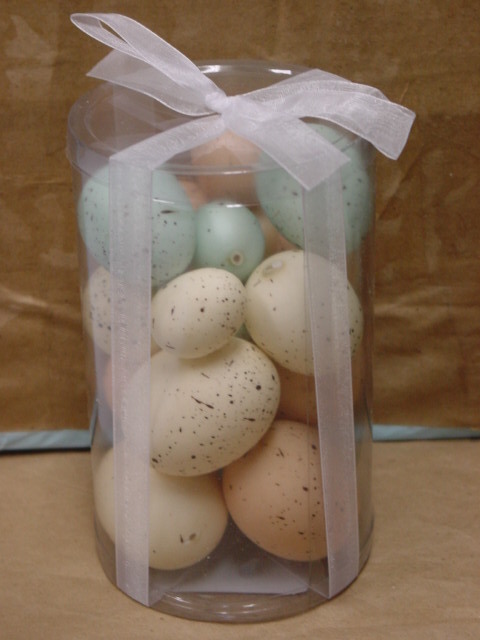 Found these pretty combo packs of eggs at 40% off a few weeks ago at JoAnn’s. 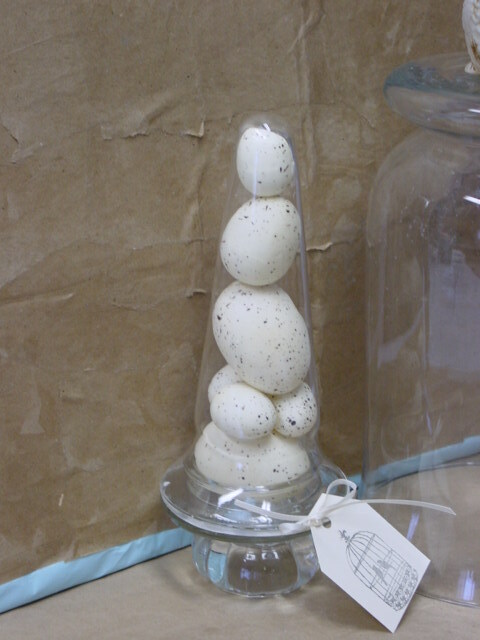 They also had these same eggs with clear strings attached to use as ornaments. Rummaged through my stash of glass jars and found these three matching apothecary jars; all bought at different places/times. 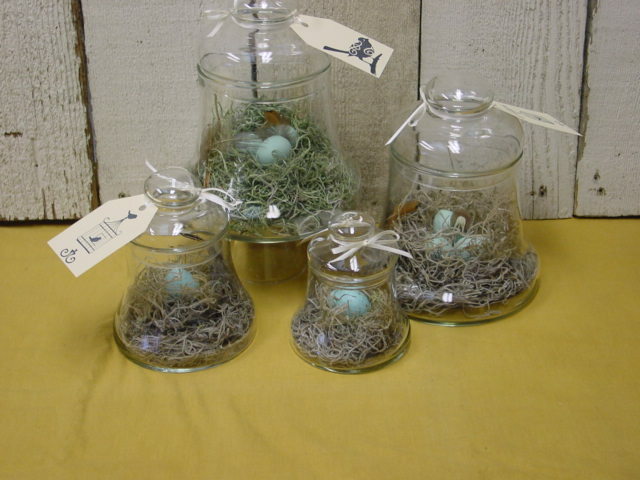 If the price is right, I’ll always grab up and buy glass jars. Pretty ones like this, and grubby glass bottles. Even if I don’t have an immediate use for them. Because when inspiration DOES strike, I want to have them on hand and ready to use! 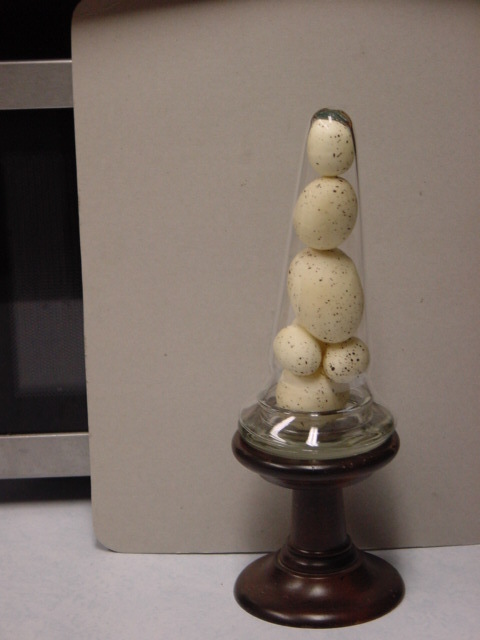 What can you DO with all those eggs??? 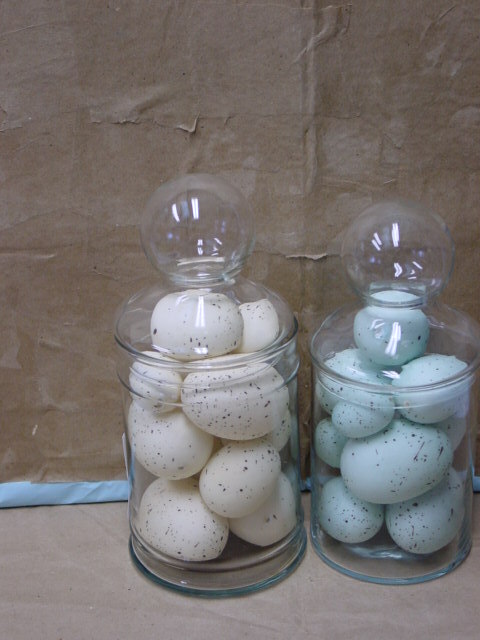 Fill jars with them, like I already showed you. 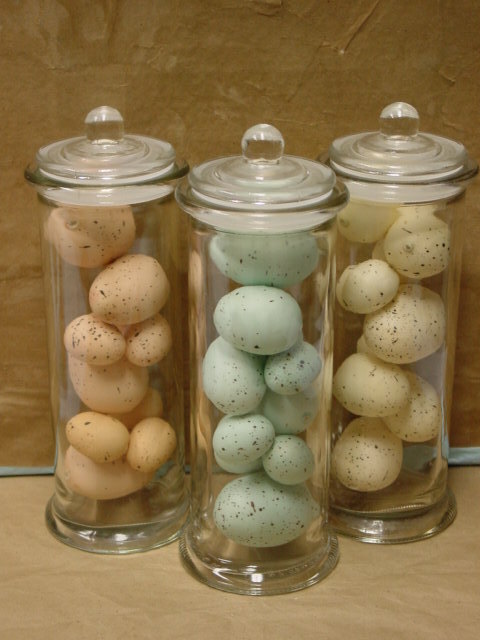 Put them under a glass cloche, like this. 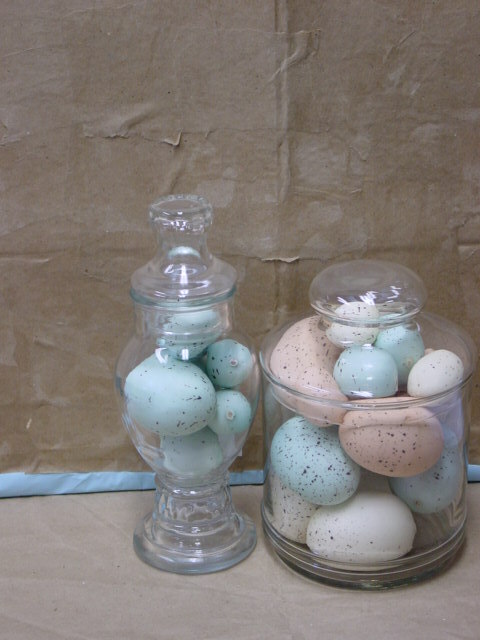 Fill MORE glass apothecary jars with them! 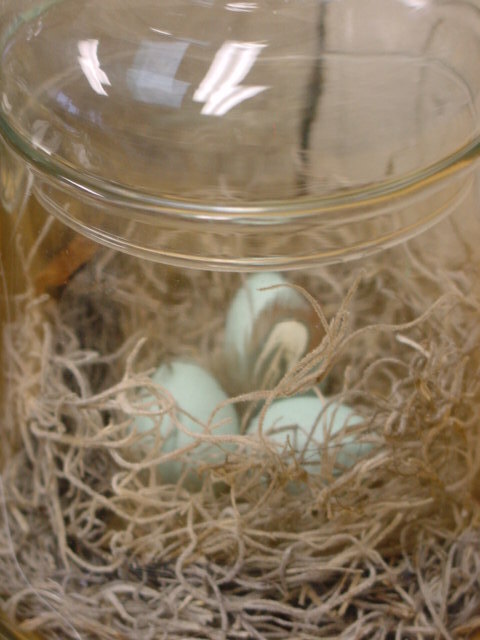 And if they don’t happen to sell as quickly as you’d hoped; you can always EMPTY the jars and sell them empty; OR fill them with other things! 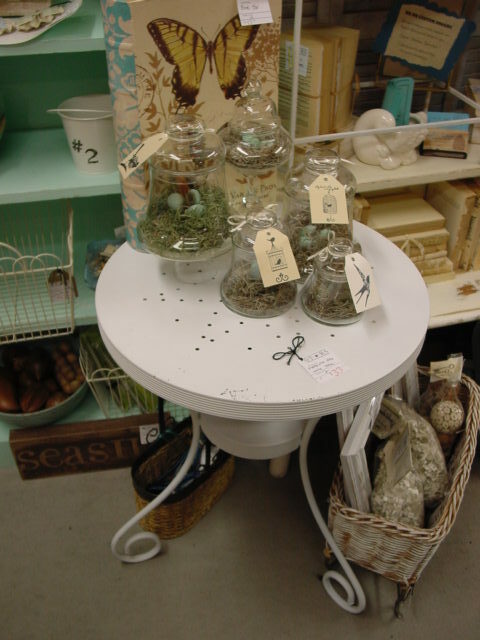 Like spools of thread, moss rocks, shells, glass vase fillers . . . just about ANYTHING! 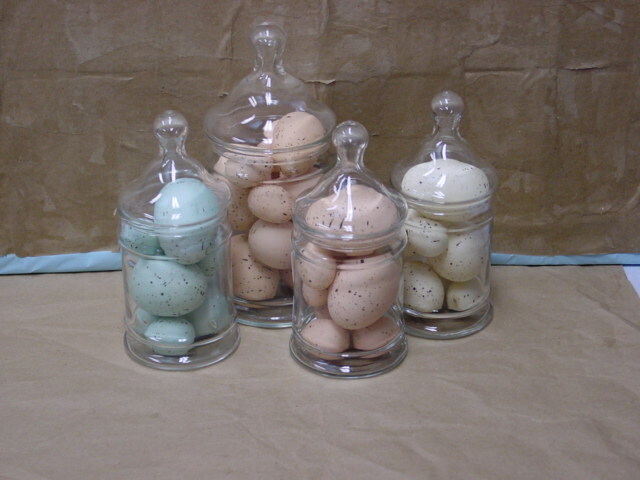 I spent a GOOD amount of time figuring out exactly which eggs to use to best fill the cloche. And since it was such an ‘exact’ fit, I decided NOT to chance someone taking it apart; and GLUED (using e6000) the cloche to the base. This was my other option for a base. And NOW that I look at it again; I like this one BETTER! Go figure?!? 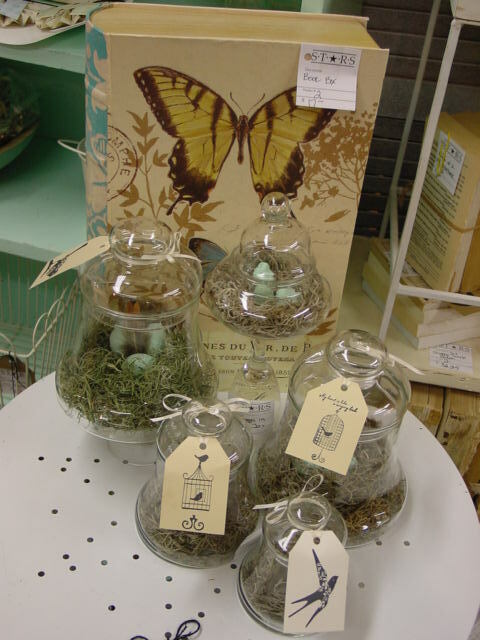 Used up some of the smaller eggs in these bell jars, with moss nests. The two jars in the back are actually the SAME size. 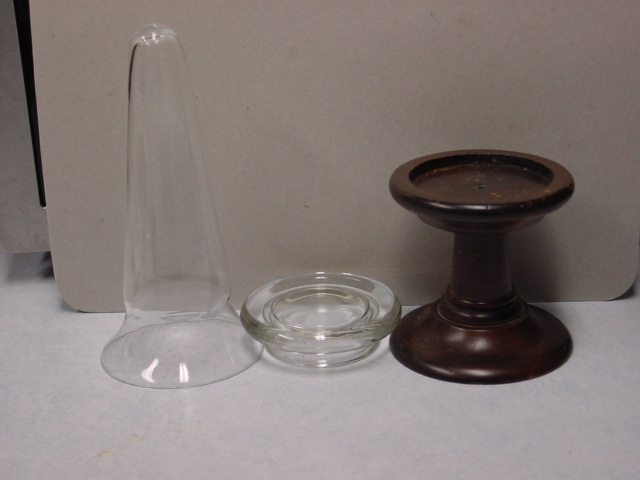 I just added a small glass candle holder as a pedestal on one of them to make it a tad taller. 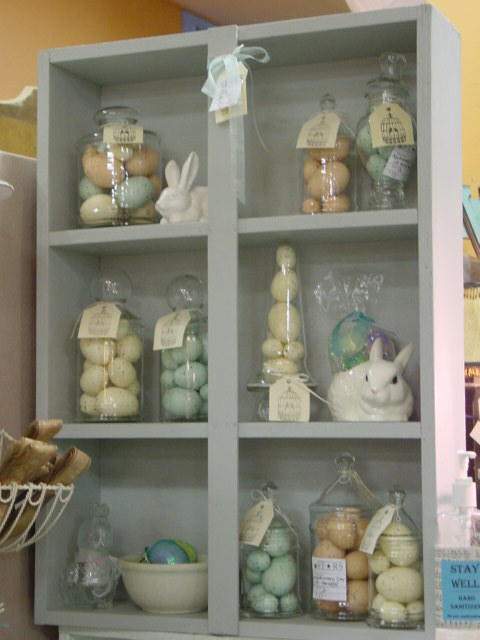 On display at Stars with some vintage ceramic bunnies. And the bell jars at Stars.